It has become increasingly popular to make donations in someone’s name instead of giving a gift. 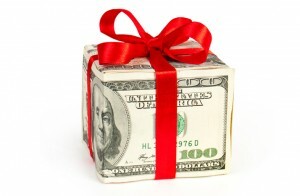 In a world of instant gratification and new gadgets topping old gadgets by the minute, a donation is the perfect gift. On Thanksgiving, we give thanks, on Black Friday we get discounts, on Cyber Monday we get online, on Giving Tuesday…we give back. This is such a great idea and we hope it catches on. There are so many ways to give back; volunteering time, donating food, donating funds. Click below to learn more. Starting #GivingTuesday, Paypal Giving Works will be donating and additional 1% for all donations made to non-profits thru the month of December. There is no better time to give. 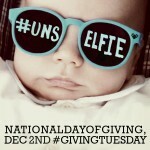 Pledge to take part in #GivingTuesday and if you take an #unselfie, don’t forget to tag #JJB! Don’t forget to do all your Amazon shopping through Amazon Smile! Same great deals and product, with proceeds going to Jonah’s Just Begun. Find out more about Amazon Smile and how to support Jonah’s Just Begun by clicking HERE.